Should I Get a New Heat Pump, or a Furnace? 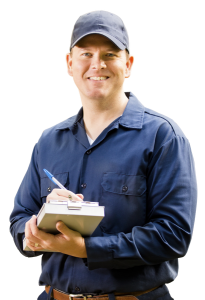 AC installation in Brandon, MS can be as simple as calling up an HVAC technician and letting them do the work. However, we also want homeowners to know exactly what they’re getting into. Below are a few things that will help you ensure you’re getting the most out of your AC installation, before and during the day of installation. Solar HVAC system: There’s no better way to start going green than by investing in a solar energy system. These systems are more affordable to run month-to-month than they were a few years ago, helping more and more families transition to solar. Ductless Heat Pumps: If you know for a fact that your AC will only be used in a few rooms or by a couple people at a time, a ductless heat pump might actually be the most economical decision, despite their heavy upfront cost of installation. Ductless systems can be installed only in the rooms you want them to be installed in, and they can be controlled individually. These systems offer immense flexibility. Central Air Systems: A ducted system like a central AC has no choice but to cool the entire home. While this may not be the most efficient option if you only plan to use a few rooms at a time, they’re unbeatable in both installation and monthly costs if you want to use them for the entire home. Not just for the convenience of the HVAC technicians, but to ensure that your possessions and home are clear from any accidents, it’s a good idea to designate a path to the installation locations. While a good HVAC company will bring their own shoe covers, towels, and mats to lay throughout the house, it won’t hurt to play it safe and move things out of the path entirely. During your initial visit with the HVAC contractor, they should have shown you the spots where your units will be installed. Before the actual installation occurs, you can clear everything away from these areas, such as furniture, rugs, and other objects. For the outdoor unit, you can clear the area of dust and debris. Some homeowners with a DIY-side to them like to create a space of concrete for their outdoor unit to stand upon; definitely something to ask about as early as possible if this applies to you. Relax and Let Them Do the Rest! There’s not much else you have to worry about after that. After installation, good technicians will clean up and leave those areas in better shape than when they arrived. They should also go through a test run of the system and spend time showing you how to operate it, as well as answer any questions you might have. That includes going through your system’s warranty information, so you know what to do in the event of early system malfunction or failure. Is it time to replace or install a brand-new air conditioner? Contact AirSouth Cooling and Heating today!